I colored the chick with Copics then fussy cut and popped it with foam dots. 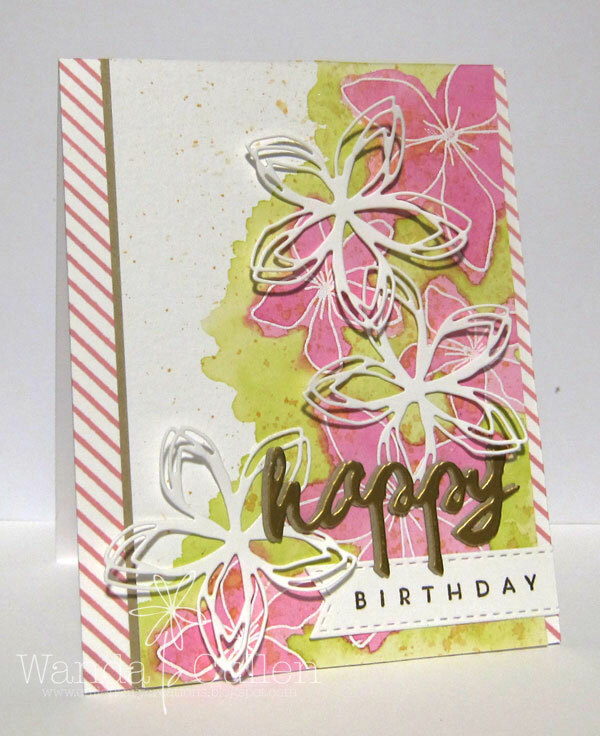 The flowers and leaves were embossed with Melon Mambo and Wild Wasabi embossing powders and lightly colored with Copics. 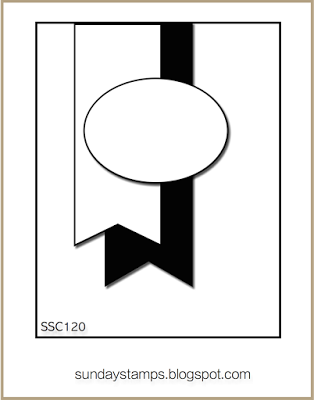 The sentiment was embossed with Stampendous detail white EP. 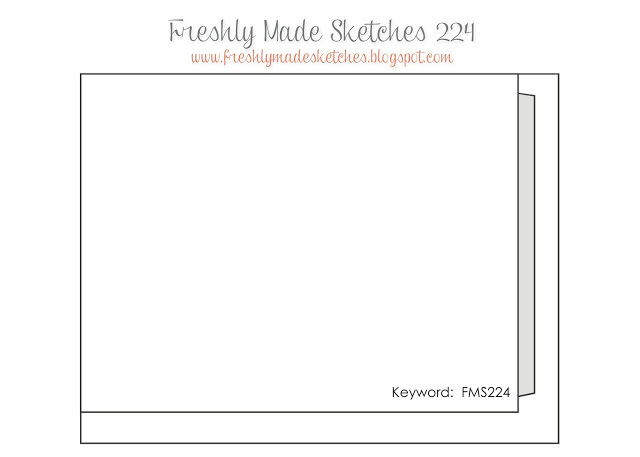 Designer papers are all from the Sugar Shoppe pad by Doodlebug Design Inc.
For more inspiration from the rest of the mojomakers, click on their blog links below...or...you can go to the Mojo Monday blog and click on the first nine thumbnails. 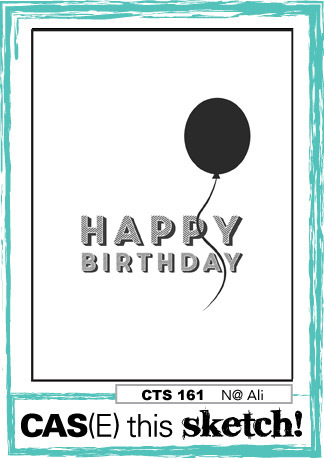 ACCESSORIES: Balloons die set (SSS), Wishing die (SSS), Large Dots stencil (SSS), Twine by SU, Stitched Stars (Lil' Inker Designs), Stitched Fishtail Flags Die-Namics by MFT, Clear embossing powder by SU. I watercolored the background using Picked Raspberry and Peeled Paint distress inks. I wanted to use the largest Circle Scribbles die to give the illusion of a wreath that was topped off by some Bitty Bouquets. 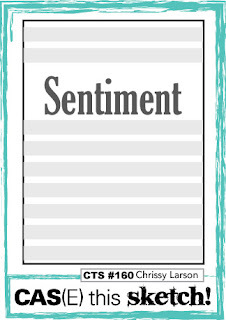 The sentiment - also from Bitty Bouquets stamp set - was black embossed on a vellum die cut flag. Tiny Tip: I used a yellow marker to add some highlights to the tulips and leaves. When I first began my stamping journey many, many years ago, my first SU demonstrator pointed out that real life flowers and leaves often have a hint of yellow in their coloring and recommended we add yellow highlights to our stamped images. I'm playing along with the current CAS(E) This Sketch Challenge! 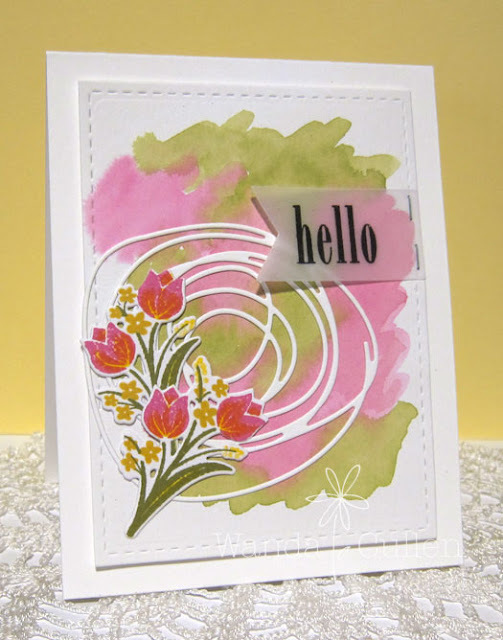 All of the horizontal lines led me to try the overlapping stamping technique using a solid line stamp that Jennifer McGuire recently demonstrated in a tutorial HERE. I used 4 colors from WPlus9's Pure Color dye inks: Little Piggy, Wild Mango, Beanstalk, and Bo Peep. 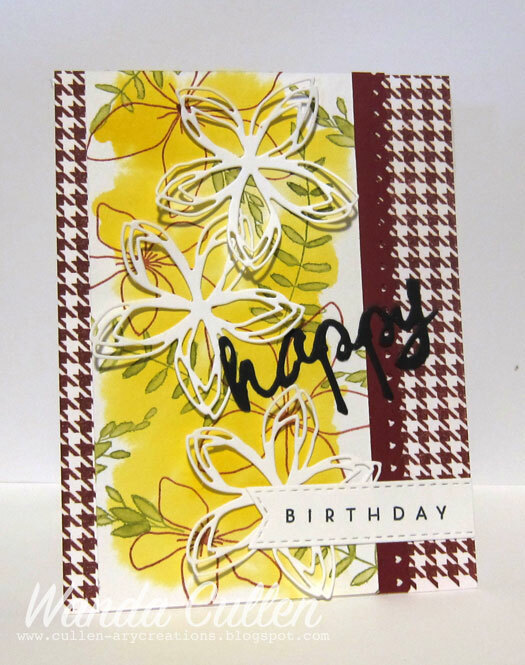 The images were all stamped with Versamark and heat embossed using Stampendous' Detail White Opaque embossing powder. I went with this older MFT Timeless set...stamping the sentiment on vellum. The clock hands were fussy cut from vellum and attached by a mini silver brad. 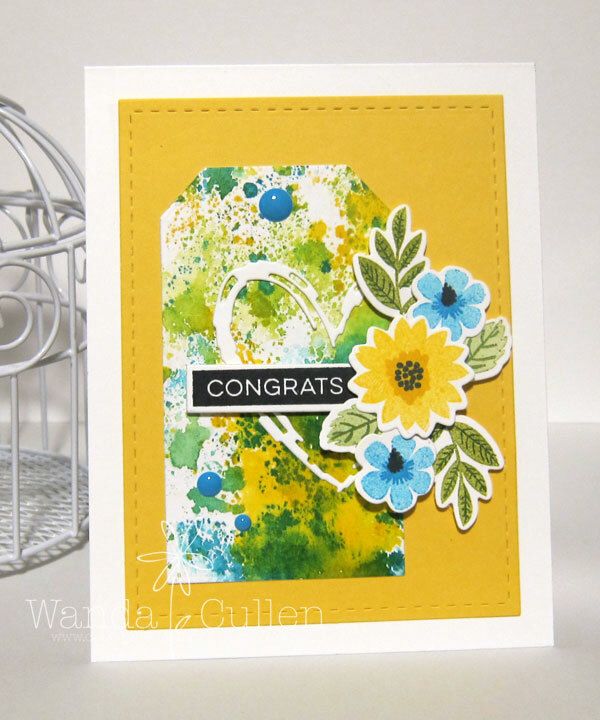 The card base is New Leaf CS by PTI and the line stamp is from Reverse Confetti's So Stripey set. Welcome to another Color Throwdown Challenge where yours truly is the hostess this week! 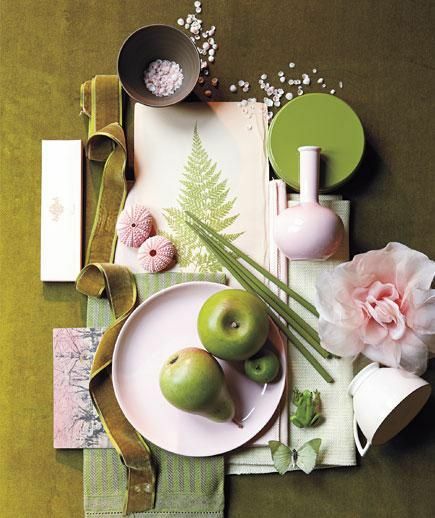 This photo inspired me to challenge you to use some springtime colors: pink, light green and kraft. After recently buying this Floral and Flutter Bundle from Concord and 9th, I knew right away I wanted to do an emboss resist technique on my card. 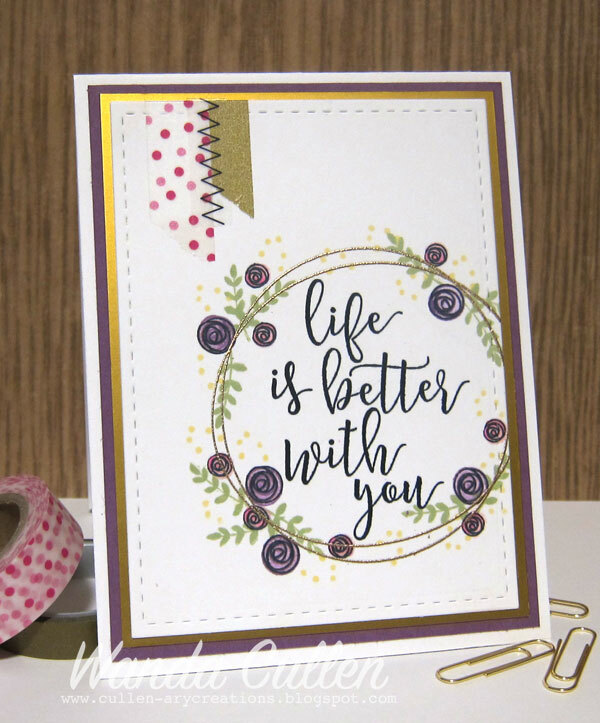 I started by white embossing the florals on Ranger watercolor CS, then I watercolored with Picked Raspberry and Twisted Citron distress inks then splattered with a mixture of Antique Linen and Scattered Straw. 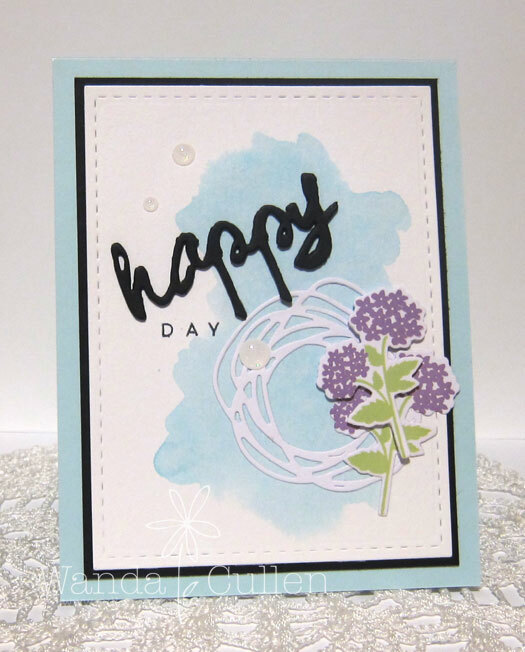 I'm loving the open floral die that coordinates with this stamp set and adhered only the center with a tiny glue dot so the petals could be slightly curled up! 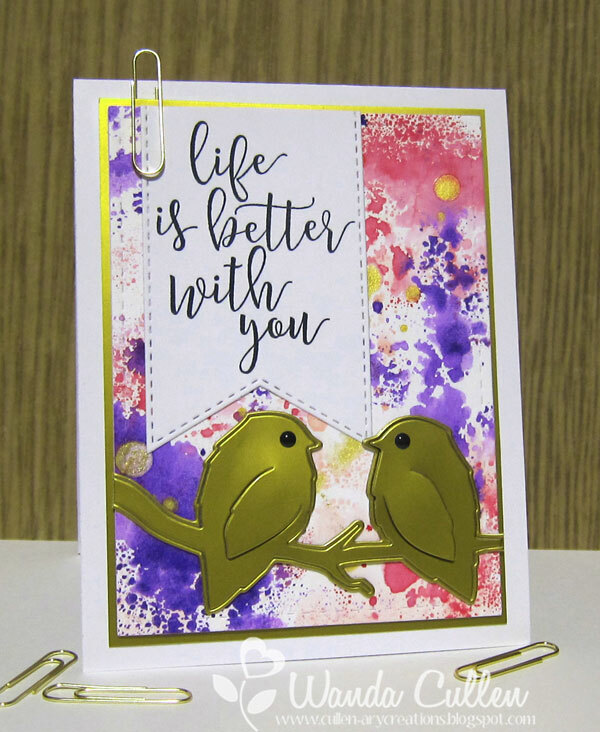 The sentiment is PTI's Wet Paint stamp and die set - cut once in metallic gold and once in kraft CS. The Diagonal Stripe BG stamp is by My Favorite Things and was stamped using a MISTI with Little Piggy ink by WPlus9. 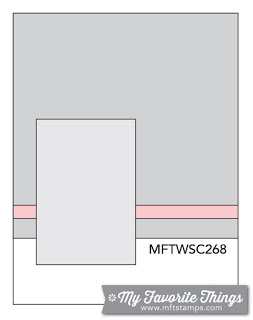 It's difficult to get thorough coverage with only one inking on a large background stamp, so the MISTI allows you to do it twice for a crisper image! 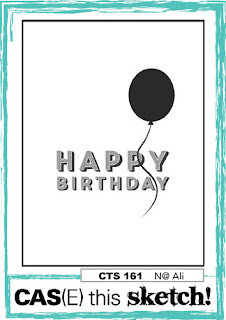 This card was created for my one DIL who hit the big 30 year birthday milestone last week! Big congrats to our guest star stamper - Karren Johnson! Be sure and stop by her blog and say hello! 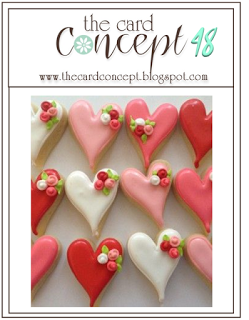 A big THANKS to the uber talented Kay Miller for being our guest designer in February! We'll miss her but will have another great guestie to announce next week...stay tuned! 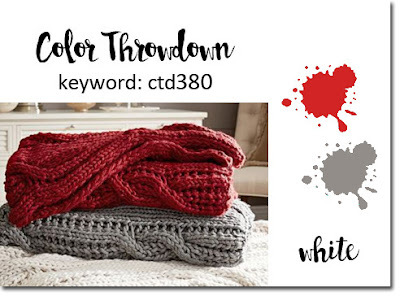 To get all the details on how to play along, please go to the Color Throwdown blog! You can also check out the rest of the design teams' creations for more inspiration on the CTD blog or you can clink on their links below. 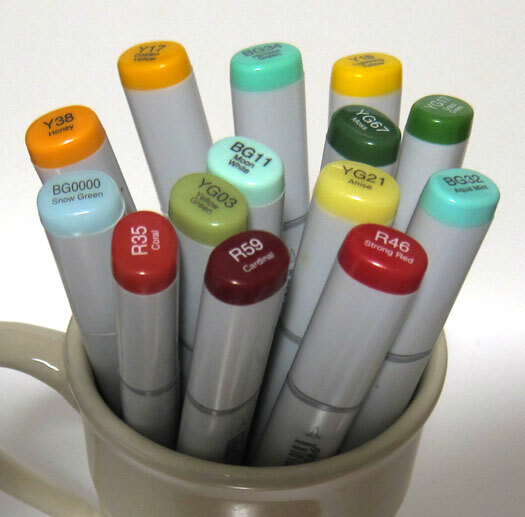 Looking forward to seeing how you use these colors this week! Happy stamping! 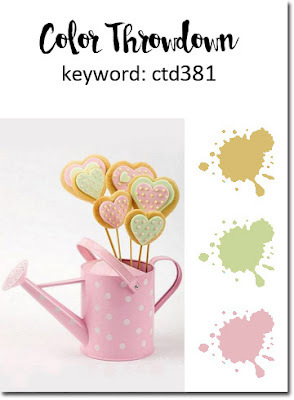 I wanted to play along with the Color Challenge on SCS after seeing Joyce's posting of these lovely spring colors: Wisteria Wonder, Pool Party and Pear Pizzazz with the dessert option to use flowers. I used non-SU colors that were in the same family: Tumbled Glass distress ink for the watercolor BG and Cockleshell and Beanstalk dye inks by WPlus9. I cut three of the 'happy' dies and layered them to give better dimension. 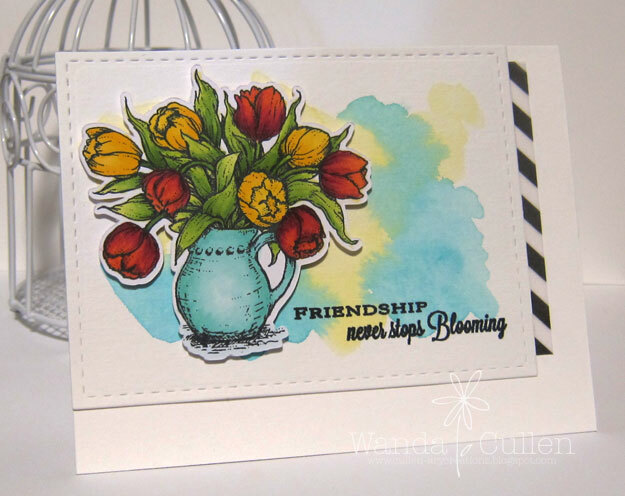 STAMPS: Bitty Bouquets (florals) and Wet Paint (sentiment) by PTI. PAPER: Sno Cone by MFT; True Black by PTI; Neenah Solar White. 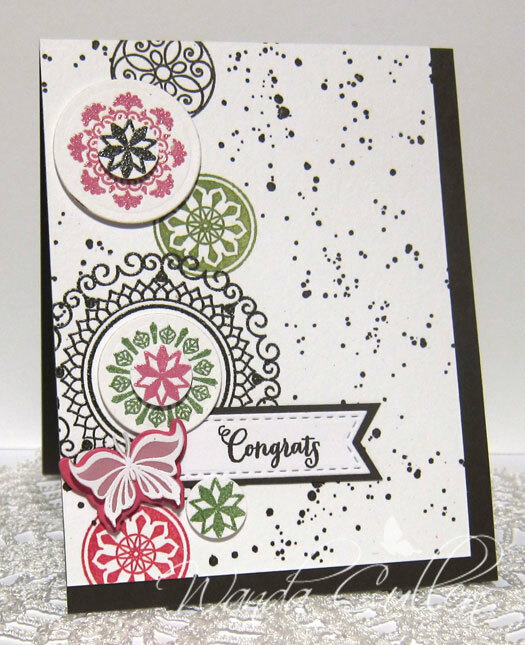 ACCESSORIES: Circle Scribbles die, Wet Paint die, and Bitty Bouquets die by PTI; Stitched rectangle die by Lil' Inker Designs; Sprinkles (lily white) adhesive dots by Doodlebug Design. A quick CAS card to thank a friend for joining the Young Living oil journey with me! 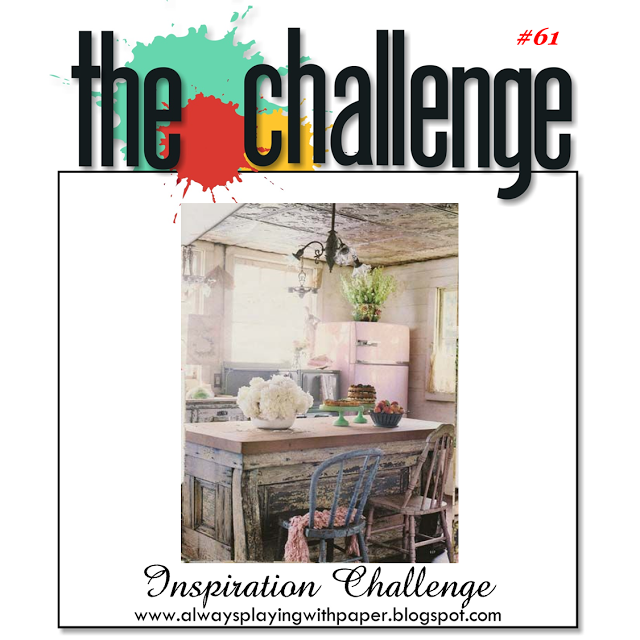 I got inspiration from this rustic room photo for the current The Challenge #61 and used the sketch for Sunday Stamps Challenge #120. Papers are all from Pebbles' Cottage Living 6x6 pad. 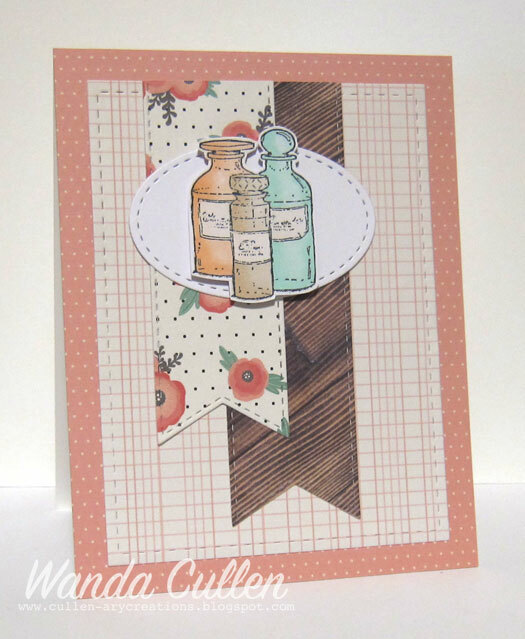 The trio of oil bottles is an image by Impression Obsession's Essentially stamp set. Inside the card, it reads "Scent with many thanks!". Good Monday everyone! It's time for another Mojo Monday Challenge and this one had me going in circles - lol! I went with these fun medallions in Verve's Peaceful Medallions stamp set. I embossed several with Early Espresso, Wild Wasabi and Melon Mambo embossing powders and then just stamped in the same color inks for the remaining ones. 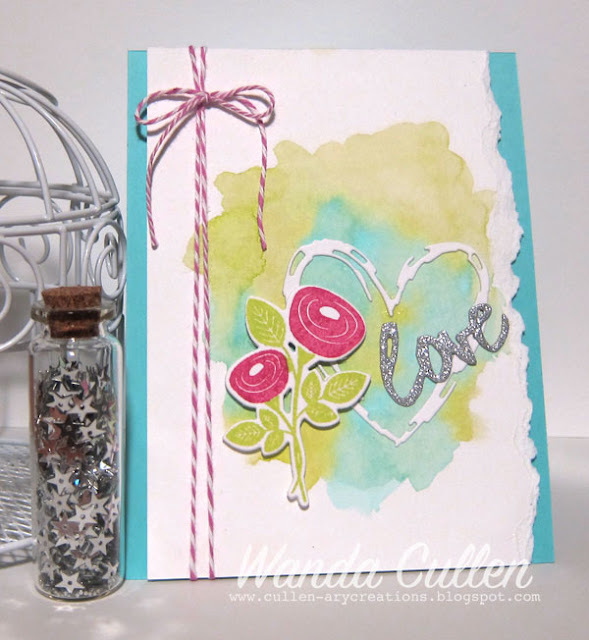 I used a splatter stamp from Gorgeous Grunge (SU) to add a little interest to the background. The butterfly was white embossed on vellum, fussy cut and adhered to a die cut Melon Mambo butterfly (All Aflutter by Verve) using a tiny glue dot. As you can see, my card is the drunken version since the circles couldn't "walk" a straight line - hehe. before coloring with Copics. The image is popped with foam tape. The striped vellum paper is from SU's Winter Wonderland pack. A quick CAS design to build up my baby card stash...inspired by the new MFT Wednesday Sketch Challenge! 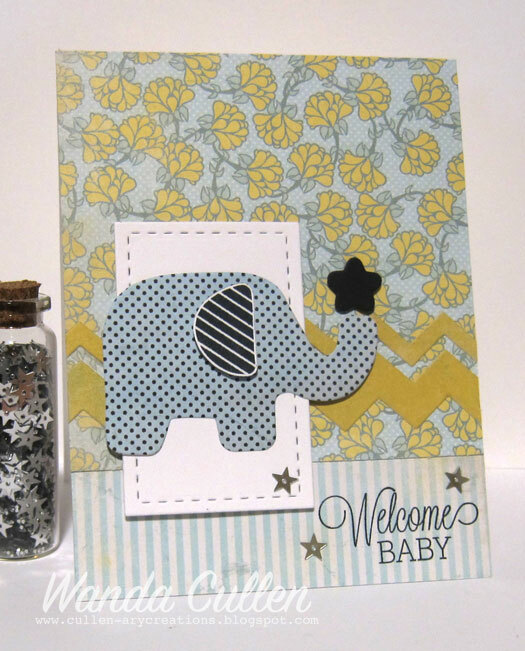 Stamps are from MFT's Beautiful Baby set with matching dies. The elephant's ear was stamped on white CS with black ink, fussy cut and popped with foam tape. Designer papers are from Authentique's Spring Bundle 6x6 pad. I dug into the archives for my rick rack Die-Namics from MFT and the stitched rectangle die is by Lil' Inker Designs. Fun little bottle of star sequins was a buy from Hobby Lobby. STAMPS: The Lord's Strength (Reverse Confetti), Garden Bunch (Reverse Confetti). PAPER: Basic Gray, Smoky Slate (SU), Neenah Solar White, Green (? source - from my mountainous scrap pile). INK: Real Red, Cherry Cobbler, Smoky Slate, Daffodil Delight, Memento Tuxedo Black. 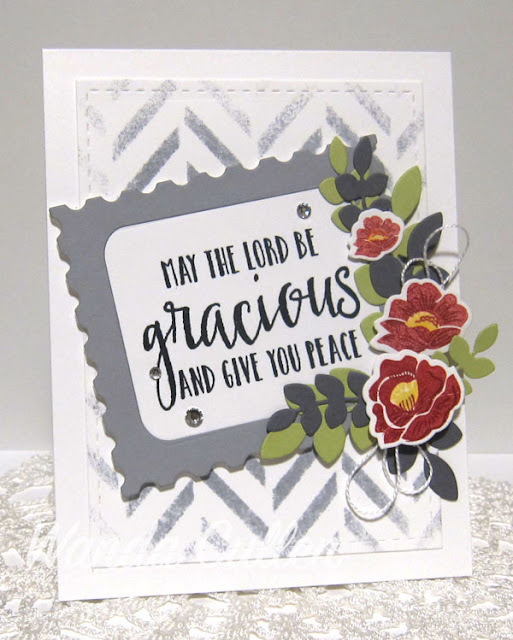 ACCESSORIES: Tweed stencil by Hero Arts; Stitched rectangle die by Lil' Inker Designs;Stamped Note, Garden Bunch and Leafy Confetti Cuts by Reverse Confetti; White thread; Rhinestones (SU). A big shout out to our guest star stamper - Peggy Gottschau of That's A Lot of Scrap! 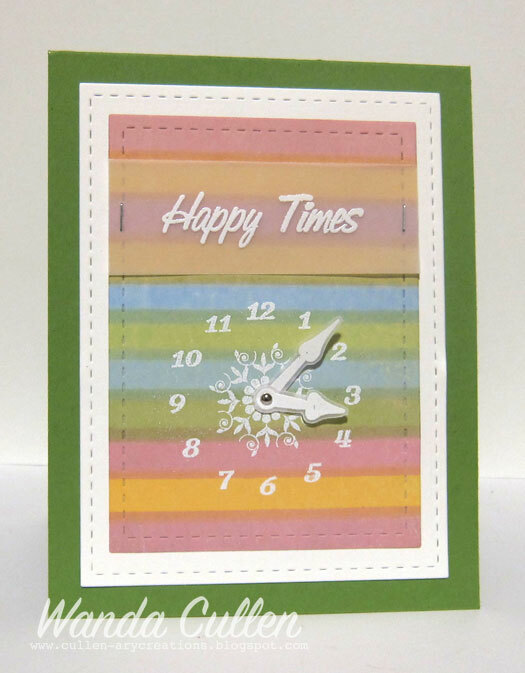 - and to our talented February guest designer - Kay Miller of My Joyful Moments. 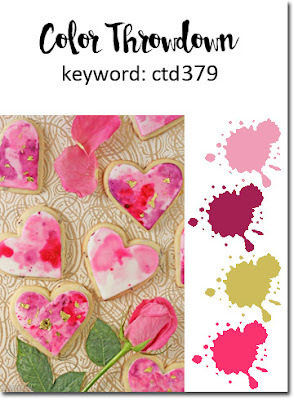 For more inspiration, check out the design teams' blog links below OR you can go to the Color Throwdown blog for details on how to play along and you can see all the sample entries in one location. 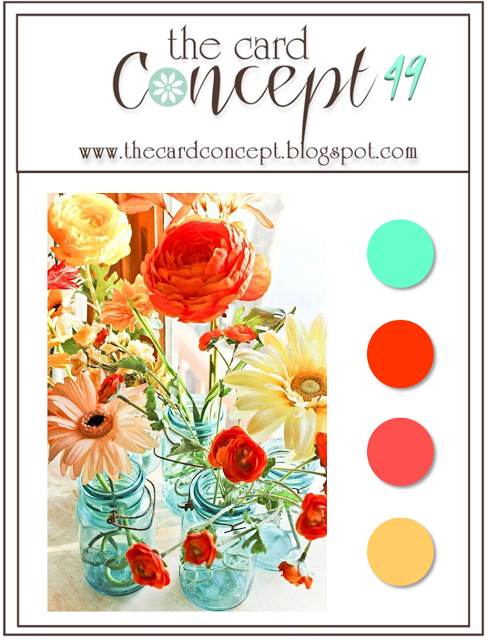 Just had to play along with Peggy's gorgeous color palette for the SCS Color Challenge: Cherry Cobbler, Hello Honey and Mossy Meadow. I skipped the glitter dessert option simply because I forgot it - lol! I watercolored with Mustard Seed distress ink then stamped images with Cherry Cobbler and Old Olive inks. 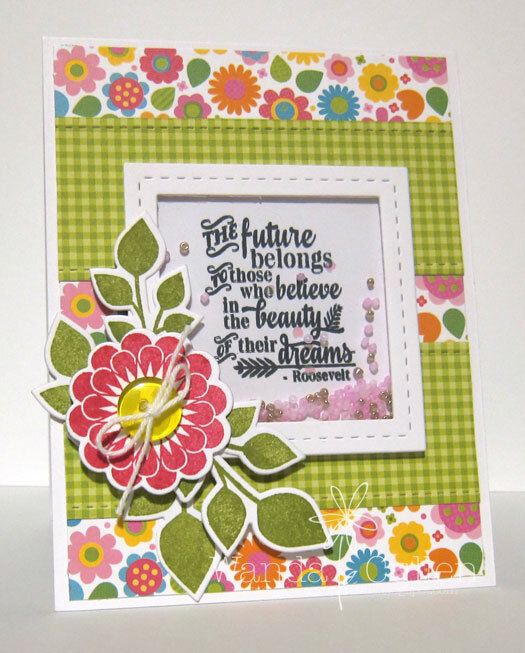 I love the matching dies to this newly released Floral and Flutter bundle by Concord and 9th. I attached them with a tiny glue dot so the edges could be curled up. 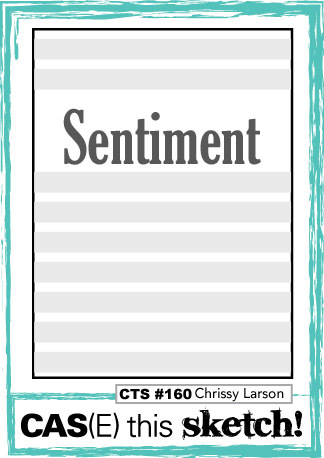 Sentiment is by PTI (Wet Paint stamp and die set). The houndstooth BG stamp is by MFT and the punched border is by Martha Stewart. The sketch used is for the current Fusion Card Challenge. STAMPS: Dream Big (Verve), Sparkly Dreams (Verve). INK: Melon Mambo, Lucky Limeade (SU), Memento Tuxedo Black. DIES: Dreamy Leaves and Scalloped Flowers by Verve; Stitched square and panel dies by Lil' Inker Designs. 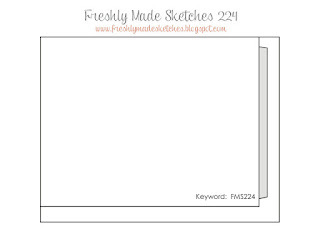 A great new sketch is posted for the MFT Wednesday Sketch Challenge! Love the tag element and just had to squeeze in one more heart this week instead of the square! I am such a sucker for flower stamps and dies and simply couldn't resist this new Mini Modern Blooms set! 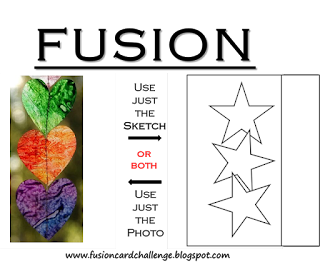 What is SOOO helpful with this set are the markings on the acetate in the packaging that let you know which stamps to layer together for each flower and leaf! It totally takes the guess work out of the equation. My starting point was a leftover piece of watercolor cardstock that had smooshed distress inks on it. Unfortunately, I don't recall the ink colors that I used, so your guess is as good as mine. 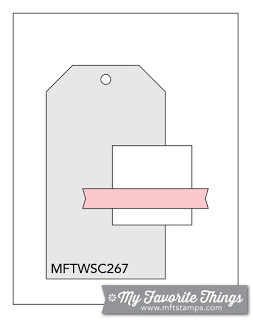 STAMPS: Mini Modern Blooms (MFT), Label Maker Sentiments (MFT). DIES: Mini Modern Blooms (MFT), Label Maker Sentiments (MFT), Traditional Tags STAX (MFT), Sketch Heart (Simon Says Stamp), Stitched Rectangle (Lil' Inker Designs). Off to get some sleep...a big day coming up tomorrow! I'm going to babysit Miss Q while her mommy and daddy and friends and family members help them move to a new location...just a few miles away. PAPER: Hawaiian Shores (PTI), Ranger watercolor CS. INK: Melon Mambo (SU), Twisted Citron and Peacock Feathers (TH distress ink). DIES: Bitty Bouquets (PTI), Wet Paint (PTI), Sketch Heart (Simon Says Stamp). Happy hump day everyone! Lynn has a really fabulous, rich color palette for the new Color Throwdown Challenge inspired by these yummy cookies: pink, hot pink, purple/mulberry and gold! I got some happy mail last week from a fairly new stamp company - Concord and 9th. I loved this fun Love You, Mean It stamp set with fabulous sentiments, only to change my mind and add a sentiment from another set called By Your Side! Don't you just love their great fonts?! I gold embossed the wreath then stamped the larger roses with Rich Razzleberry - stamped off once for the filler stamp. The roses were all stamped with black ink for the outline then the teeny roses were colored in with Copics - RV02 and RV04 - for the two shades of pink. The pinks didn't show up well enough to suit me, so I opted for a touch of washi tape that had both shades! I matted the panel with metallic gold and Plum Pudding (PTI) cardstock. I embellished with washi tape and some SRM sticker stitches. 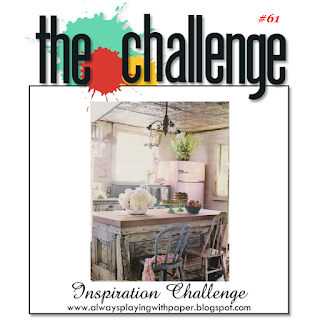 Congratulations to Bonnie Sharp of The Lucky Clucker blog! She's our guest star stamper this week! Kay Miller - February Guest Designer Looking forward to seeing how you use these colors this week! Happy stamping!